INNterval – An artistic collaboration at the Halsetown Inn – a tribute to the legacy of J.Henry Irving. It was a mixed media show, ranging from painting, drawing, sculpture, video, photography and Embroidery! It was a wonderful night for me, as right from the beginning of the private view till the end people were gathering around the table and started stitching. As a space became free, someone new joined in! When I was talking to people, I noticed the joy and pleasure, they took out of this rather unexpected opportunity in the context of an otherwise conceptual exhibition setting. 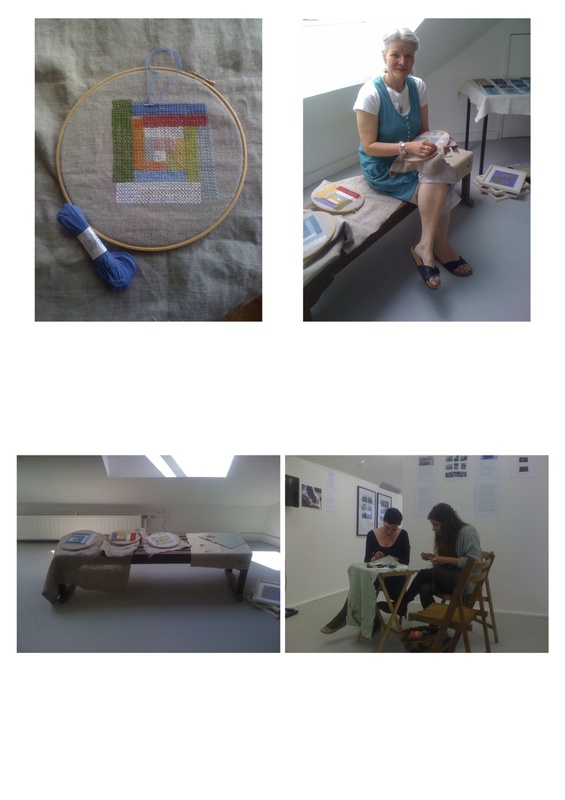 It was interesting to watch people stitching and talking, with great intensity! I am very thankful to Ilker Cinarel, for the opportunity to show my work and to all the people who became participants in the Joy of Stitch! Here are the first glimpses from the Graduation show! what pleases me most, is that people have been in acting with the embroidery and added their stitches to the large cloth which was started at the Event at the Exchange, Penzance. Soon there will be more photos and reflective writing. The Show comes down on Friday, 21. June. 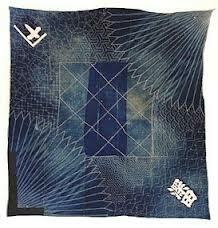 I have been reading in Jane Brocket’s book ‘The Gentle Art of Stitchning’ and came across Sashiko Embroidery. I amfazinted by the imagges of old, traditionalle Sashiko, which was used for darning and embellishing at the same time. 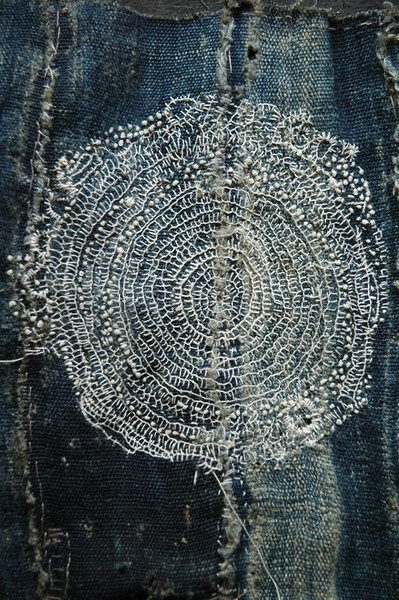 I love the look of the worn and faded indigo dyed cloth, embroidered with white cotton yarn. 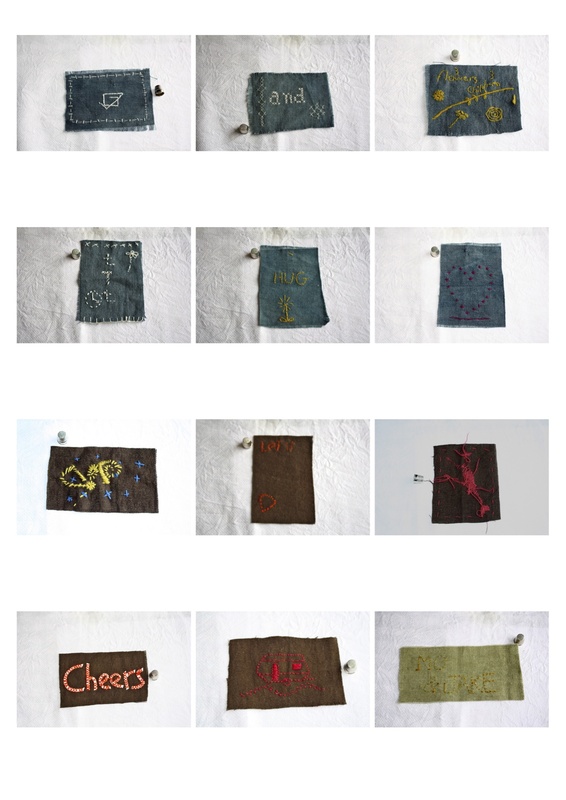 I had come across these images before when I was researching about the Japanese Wabi-Sabi philoshophy . So many aspects of this tradition appeal to me, it the simplicity of the stitch, the matrial and the underlying idea to use it for mending and caring. It feels strange, to go home from the college and not being able to take out ‘The Small One’ and carry on stitching. All is done now in the space, the screens are up and running with my films, , the 3 cloth pieces in their hops are laying on an old bench together with the cloth piece of the event ‘Coffee, Cake and Stitch’. On a table are the Stitch Samplers layed out. A small table and three chairs are in the space with the large cloth from the event. There is an invitation to stitch. For two weeks the three companion piece will be in the space and I feel almost bereft! During the show (Sat. 15. – Wedn. 19.June, 10.00 – 17.00, at University Falmouth, Woodlane Campus) I can work on them for a while. It is a very strange feeling, almost sudden, even so there was a huge build up over the last two month and now its done, over, finished, in the public eye, scrutinized and judged. What keeps me boyand and afloat are my memories of the lovely comments on the Stitch Samplers and peoples reaction on the event, and also in conversations. I will have to start a new cloth, to keep me company! I was spending a morning with my friend Mark Leahy, a lecturer and performance artist and pondering about the question, why I preferred the term “Stitch” to ” Embroidery”. Mark responded immediately in saying the later one is loaded with associations of decorative, historical, and expectation of skill. In a way I hadn’t really thought about it, only became aware, that I had preferred to use the word ‘Stitch’, calling the project ‘Time and Stitch’ and the pieces of the project ‘Stitch samplers’. The event was called ‘Coffee, Cake and Stitch’. Strangely only on the collaboration with a musician, I had called the documentation ‘Music and Embroidery’. Musing about Mark’s remark, I thought, he got a point; the word ‘Stitch’ feels open and freer, feels free of expectations and I often had to explain this to people, who took part in the project and the event, that I didn’t expect fanciful or skilful embroidery. My emphasis was to share the experience of stitching with other people and inviting them to share their experience with me. And they did! Through their writing and talking to me about their experience. Sometimes someone would say “Oh, it is about Cross-Stitch? 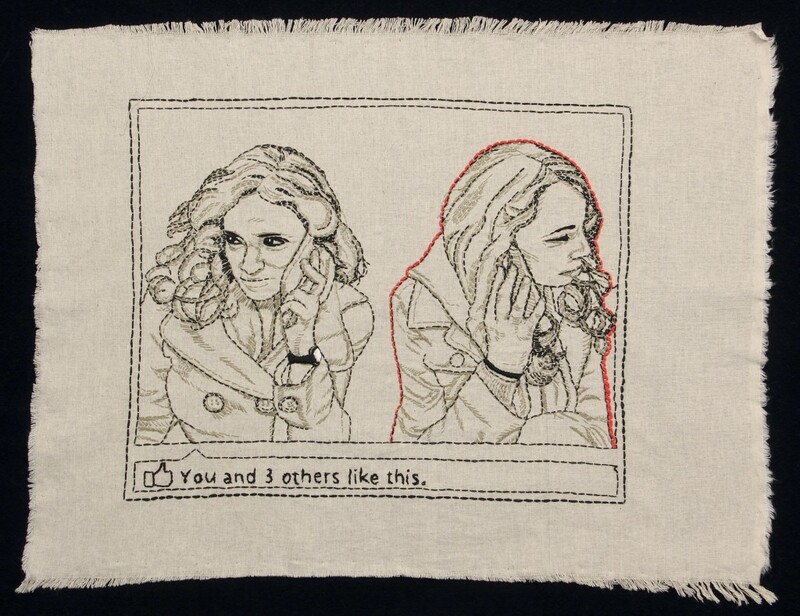 ?” and I had to say, that it was about the process and the experience of Stitching. Why do I use Cross-Stitch? I like to stitch with Stitches which cover the stitched surface and are simple. Cross-stitch does that for me; it gives me a framework to work in the pattern, starting in the middle and working my way to the edge. It is simple, I don’t have to think too much about it, can enjoy the rhythm and the movement. When I am on my own, I can pay attention to my breathing and be in the present moment. When in company, I can still share the conversation and carry on stitching. I was curious what people would stitch and had no expectations. Still I was surprised that no one referred to any pre-fabricated pattern from books, magazines or websites. People really worked with, what they knew and enjoyed and wanted to share. On the event ‘Coffee, Cake and Stitch’ some people asked me at the beginning: “What do you want me to do?” and I just said:”Stitch!” and they did! This a video on YouTube clip from the Altamira Project by Boris Lebong. “Altamira is a sociocultural project I founded in 1998. I have been involved full time with it since then. With music as a guideline, ALTAMIRA explores through action and reflection the role of cultural issues in the processes of human development. 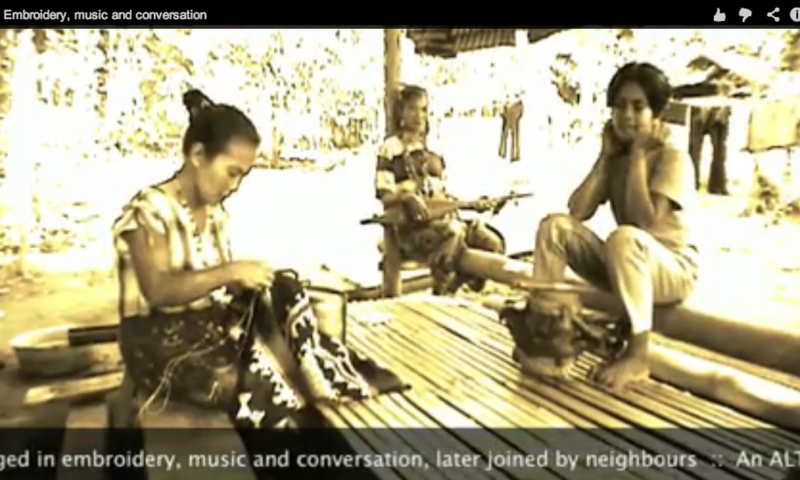 We think cultural resources vaporization is a mainspring of social empowerment. Our projects thus lean on the link between the art of music and the weakening art of living together. 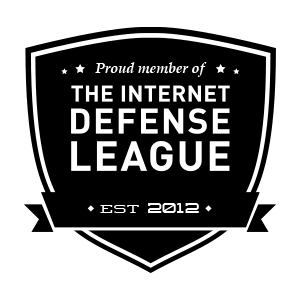 I found the website, the text, the whole approach and the aims and the video work very inspiring. P.S. I will try to figure out how to upload the video to the blog! My practice evolved out of my research for my dissertation ‘Stitch, Yarn and People’. I had of with researching artists who used Textile material and techniques in their work. 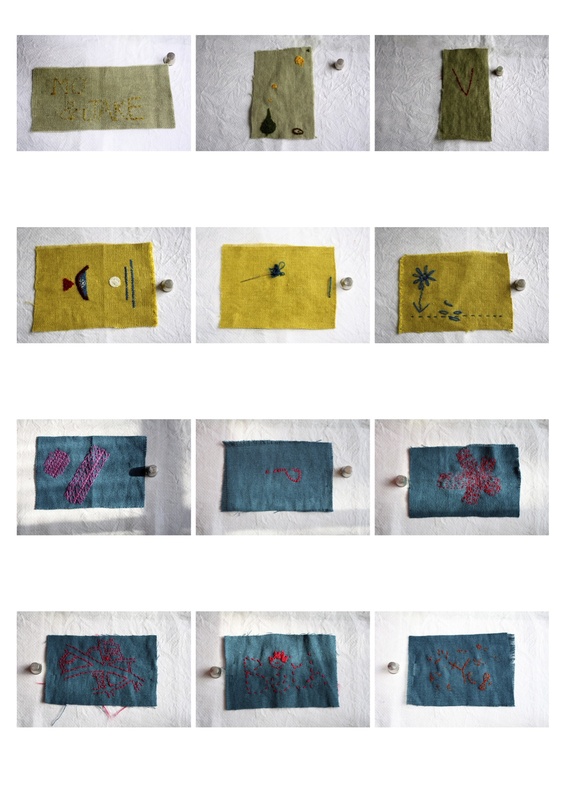 Soon I discovered the aspect of Participation with the use of Textile techniques/materials. Conversations with a Mark Leahy, a performance artist, brought me into contact with Richard Powell and the group ‘halfangel’ (www.halfangel.ie/knitting.ie/theknittingmap.html‎). Both were a defining part of my dissertation and I have been writing in my blog about them. Both were projects, though very different in scale and duration, which were the greatest influence for me. 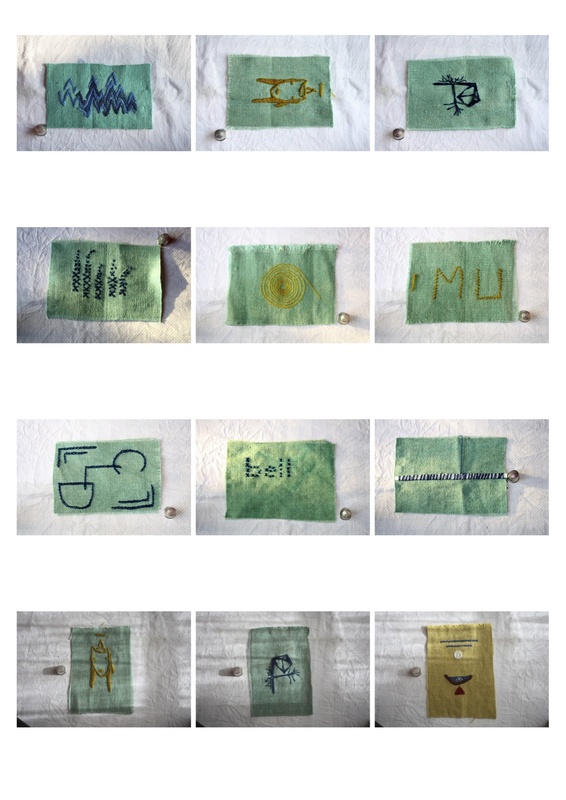 These projects made me aware that the emphasis for me lies in the process of the activity, the slow process of embroidery/stitch, the embedded concerns regarding ecological responsibility and sustainability. The first step was to choose an ongoing project for myself, stitching on pieces of Hemp with wool yarn, which is produced in Britain.Over time three pieces of stitch on cloth evolved. The Collaboration – creating dialogues with other artists, like musicians, as in this body of work. Influential were also ideas from aesthetics and concerns, based in Zen philosophy and Japanese Craft design. Wabi-Sabi (侘寂?) Represents a comprehensive Japanese world view or aesthetic centrered on the acceptance of transience and imperfection. The aesthetic is sometimes described as one of beauty that is “imperfect, impermanent, and incomplete”. It is a concept derived from the Buddhist teaching of the three marks of existence (三法印 sanbōin? ), specifically impermanence (無常 mujō? ), the other two being suffering (苦 ku?) and emptiness or absence of self-nature (空 kū?). Characteristics of the wabi-sabi aesthetic include asymmetry, asperity (roughness or irregularity), simplicity, economy, austerity, modesty, intimacy and appreciation of the ingenuous integrity of natural objects and processes. Accept the inevitable… Life is fleeting and transient…. impermanent. That is why Zen teaches one to live in the moment… focus on the intrinsic small details… and get rid of the unnecessary. That is why Zen and Wabi-Sabi are so tied to nature. Truth comes from observing nature. Also the writing of Tim Ingold (LINES – A short History of Lines and Creative Entanglements) was informative. Looking back, I realized that my greatest inspiration during the past academic year came from conversation with other artist, painters, textile artists and musicians about process, sensibilities towards mindfulness, holistic approaches, environmental responsibilities, slowness and appreciation of being in the moment. Accept the inevitable… life is fleeting and transient…. Impermanent. That is why Zen teaches one to live in the moment… focus on the intrinsic small details… And get rid of the unnecessary. That is why Zen and Wabi-Sabi are so tied to nature. Truth comes from observing nature Also the writing of Tim Ingold (LINES – A short History of Lines and Creative Entanglements) was informative. Kathy Halper, an American Artist was featured in ’embroidery’ , the magazine of the Embroiderers Guild UK. Her recent work in an observation of youth culture and social networking. The article in the magazine and the essay on her website give a really good insight of her approach and the context of her work. Sometimes it is good to “walk the talk”! 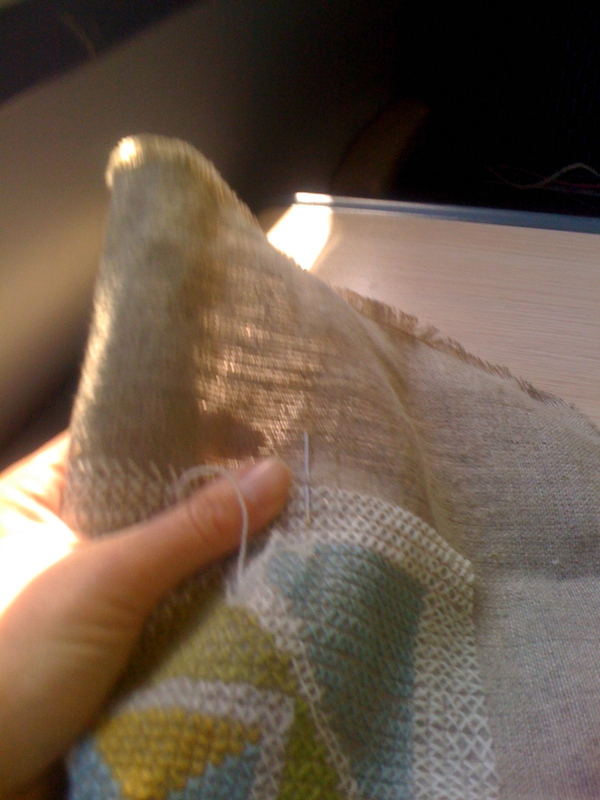 After traveling from Penzance to Univesity Falmouth, dealing with Reprograhics, a tutorial with Gillian Wylde and lunch, it just flet the right thing to do, just to sit for an hour and stitch, while listing to some music! (The Bookshop Band, my current favorite!). When I look back at my documentation of my journey in Stitch, I realize, that it took me a bit of time to really take the Stitch piece on as my ‘companions! At the beginning I stitch only in ‘special moments’, at home and while filming. Only when I started the ‘Small One’ and the ‘Middle one’, I really started to carry them around with me, stitching on the train on every journey, they went to Germany, to London, to Totnes, several times to Truro. Over the weekend I was thinking, that the Graduation show is really not the end of this work! The three pieces will have a break, I will continue working with them, when they come home! Before they go into the show next week Friday, I will take a final photo, which will be only a recording of that moment! This is a good feeling, a feeling of continuity! Stitching in public is a really different ball game compared with other activities such as Knitting, or Crochet. It draws more attention to it, the is not a day or an outing without someone coming up to me, complimenting, commenting and inquiring, sometimes I tell people of the context, sometimes I keep it vague, saying I just enjoy doing it! Today I have locked myself out of my work, by leaving my laptop charger at the college last night! 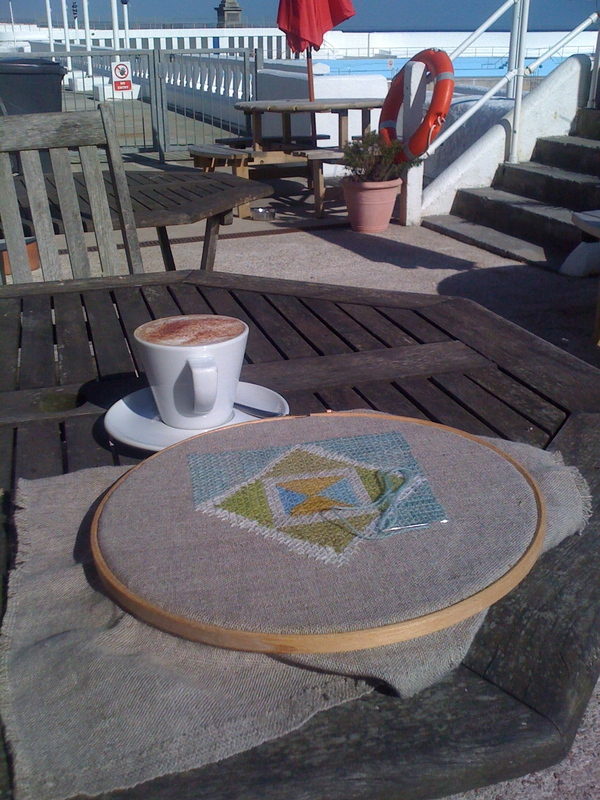 So I decide to take some time out and went to the Poolside Cafe in Penzance and I here I am sitting right now and stitching! And breathing through the disappointment, the frustration and the upset. Better to accept the situation as it is and make the most of it. Enjoying a coffee, watching the sea, breathing and stitching! I have send out more than 70 envelpopes with Stitch Kits and more than 50 have returned. Most days I find another envelope with a Stitch Sampler coming with the post! These are excerpts from my documentation. It has been a very wonderful return!